2016 has been the worst in a lot of ways — for starters, worst major party presidential candidate of my lifetime — but I can’t blame it all on Donald Trump. Among the many things that have stuck in my craw over the last 18 months (or was it 18 million months?) is the complete idiocy of ballot selfie laws. So when Eric Trump posted a ballot selfie on Tuesday showing his vote for his dear old dad, the internet sniggered at his lawlessness. But I’m here to tell you: this might be the least horrible thing he’s done during this campaign. 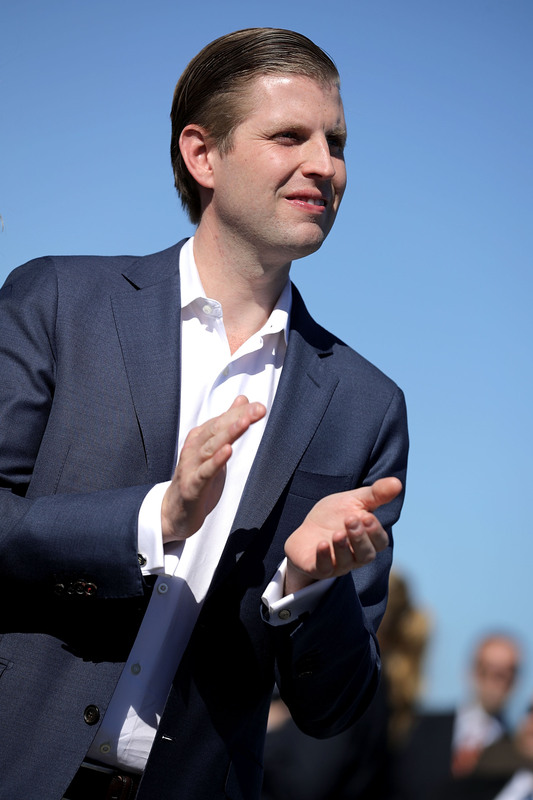 By far one of the least pleasant side-effects of covering the 2016 election is that I can now readily identify all of Donald Trump’s children, so I know that Eric Trump is the one who looks like Carlisle Cullen. And while he might not actually be a bloodsucker (benevolent or not), he has done some pretty nauseating things in support of his father’s candidacy for president. But taking a picture of his ballot for president and posting it on social media is not one of them, though this has less to do with him and more to do with how much I find the ballot selfie tizzy annoying af. Even if you’re not convinced by my foul-mouthed vision of our first president, let me outline some of the other things Eric Trump has done in this campaign, and then you tell me what’s worse. September 28: Said it took a lot of “courage” for his father not to bring up Bill Clinton’s infidelities in the first debate. I’d guess he was confusing “courage” and “decency” but I think the subsequent debates proved that’s not the case. October 12: Said his father’s comments about women on the Access Hollywood bus “was two alpha guys in a thing.” He did add subsequently that it was “totally unacceptable” even while simultaneously claiming his father “has a heart of gold.” Maybe he meant it literally? So, please, by all means, hate on Eric Trump. But in the final analysis, his ballot selfie might be the least obnoxious thing he’s done all year.